¡Cubanismo! — Maria Matias Music, Inc.
¡Cubanismo! takes you on a journey to the dancing heart of Latin music. This 15-piece orchestra of Cuban all-stars showcases the bright tropical blasts of Cuba's hottest dance music. 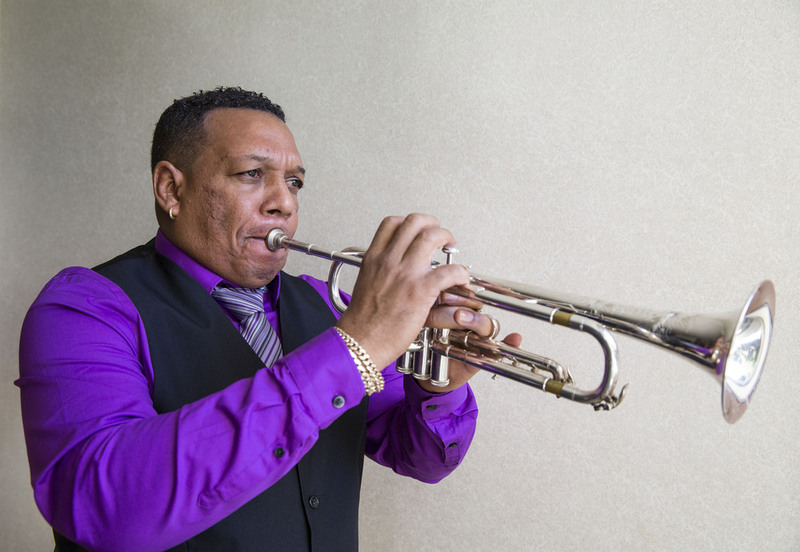 Led by Jesús Alemañy, the brilliant trumpeter formerly of Sierra Maestra, the band features famed conguero "Tata" Güines, Orlando "Maracas" Valle,; the great Cuban bassist Carlos del Puerto, tres player Pancho Amat and saxophonist Yosvany Terry from Los Terry, his family's Afro-Cuban group. The all-star percussion lineup boasts the venerable "Tata" Güines and Roberto Vizcaino on tumbadoras (conga drums), and the always inventive timbalero Emilio del Monte. Together, they punch out an irresistible blend of freewheeling dance tunes, traditional rumba, cha-cha, son, and lesser known danzon and pa'ca rhythms, composed by various members of Alemañy's band and arranged in the descarga (jam) tradition developed by Cuban jazz players of the '40s. The expression ¡Cubanismo! designates something specifically Cuban, or unique to the island and not common to the general Spanish culture of Latin America. Utterly different from the genre known as Latin jazz, ¡Cubanismo! features danceable music from beginning to end, celebrating the legacy of Cuban music in other dance styles from around the world. The Cuban son, which dates back to the turn of the century, is the root of much of the up-tempo international pop music, from African soukous to New York salsa.